You are currently browsing the category archive for the ‘involvement’ category. It is a challenge to give Afghanistan a different face than what we see every day in the news. The ‘Afghanistan Hidden Treasures’ exhibition (still touring the world), different events, Non-Profit activities and a movie about Afghanistan (The Black Tulip), entirely filmed in Afghanistan and soon to be released, are examples of many efforts to keep a ‘positive Afghan fever’ in the air and a steady support on the ground. The recent 7th ‘Rebuilding Afghanistan Summit 2010, which aimed to raise public awareness and garner support for Afghanistan, was a very encouraging event. It brought together a number of non-profit organizations working in Afghanistan, Afghans of older and younger generations, and an eager audience ready to learn about and support the efforts to help Afghanistan’s people. For the first time this Summit took place in Los Angeles, after many successful years in San Francisco. The goal is to have this event growing and being hosted in many more cities. Will the exploitation of the copper mine Mes Aynak boost Afghanistan’s economy or destroy an ancient religious site along the Silk Road? Can a touching movie on Afghanistan (The Black Tulip, Afghanistan’s official entry to the 2011 Academy Awards) help to open a new window on this broken country? Why do Afghans today have to go back in history in order to catch up with the future? These and many more questions were discussed during presentations, networking time and workshop sessions. 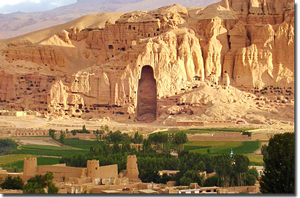 The question How and why should we preserve Afghan archaeology? discussed at the APAA workshop, attracted older as well as new generations of Afghans born in the US. The tears of an older lady and the well-posed questions by some younger attendees substantiated the significance that heritage has to the lives of Afghans today. The Summit revealed two important aspects. One is the different perspective on how and when “change” for the life of Afghanistan’s people is happening. While some argue that change still hasn’t happened, others see it already happening. The other aspect is the strong desire to convey to the world that Afghanistan has a different face than just that of cruel war, desperate people and a destroyed country; the country deserves to be recognized as having a long-standing history and beautiful culture. To sum up all the efforts, Tamim Ansary, the Afghan-American author of West of Kabul, East of New York and public speaker said at the San Francisco Summit: “The rebuilding activities done now in Afghanistan are like planting seeds whose results we won’t see for decades. And be prepared that the only reward you will get out of it is that you contributed to Afghanistan becoming ‘normal’ again.” In the broad scheme of things – that’s worth the effort.